The Wyndham Advantage—our comprehensive, personalized, and highly valuable suite of benefits for owners—provides a wide-ranging and personalized structure of support. 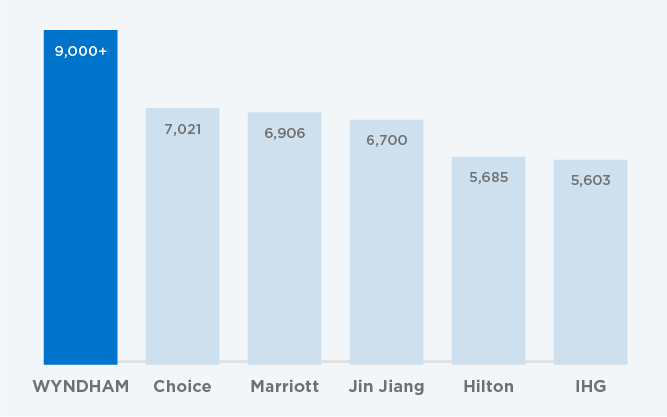 Our goal, as a hospitality powerhouse, is to leverage our size and reach to simplify the daily operations of your hotel, reduce your total cost of doing business, and connect you to the 70 million loyal members of Wyndham Rewards. Wyndham’s size and global footprint offer unique, comprehensive, and profitable advantages for our owners, including a diverse portfolio of brands, reduced distribution costs, and strategic development and sourcing. One of the main benefits of our global scale is our powerful portfolio, including 20 brands with over 9,000 locations on six continents. The diversity of our hotels provides a wide range of options to meet your needs and to capture profitable opportunities in your market. At Wyndham, we’re not only dedicated to optimizing our existing brands and guest experiences, we’re focused on continuing to grow and diversify our portfolio. For owners, this translates into even more options at every price point, greater distribution possibilities, and a growing, loyal Wyndham Rewards member base. As our partner, you’ll reap the benefit of our expansive network of relationships with major Online Travel Agents (OTAs) and distribution partners. Due to the global reach of our brands, our decades-long reputation in the industry, and our 70 million Wyndham Rewards members, we can negotiate the best rates on your behalf. By leveraging our scale, we’re able to provide owners access to unmatched global distribution capabilities to over 400 online channels worldwide. Owners can save by taking advantage of competitive rates and brand marketing that drives guests to direct channels. This reduces your cost for OTA bookings, producing savings over time. Our Strategic Development and Sourcing teams have extensive experience in identifying and managing hospitality construction in a variety of markets. We’re committed to lowering your costs by leveraging the purchasing power of Wyndham Hotels & Resorts to negotiate contracts for furniture, fixtures, and equipment (FF&E); operating supplies and equipment (OS&E); and food and beverage (F&B). In addition, we’ll source higher-quality products, enhancing the guest experience and increasing overall satisfaction. With this support, we help to lower your total cost of ownership and set you up for enduring success. Whether it’s support for the opening of your hotel or ongoing, day-to-day assistance, our dedicated and highly experienced support team is ready to answer questions and respond attentively to your concerns. For our owners, we’ve embedded attentive, responsive service into every layer of support. From the moment you join us, you’ll see that we have a team that works together to make your experience profitable and enjoyable. We believe in building mutually beneficial relationships with owners, by maintaining clear paths for asking questions and receiving helpful responses quickly. The Wyndham Welcome goes far beyond the way we treat our guests. It starts with the way we welcome and support each and every one of our owners to the Wyndham Hotels & Resorts family. 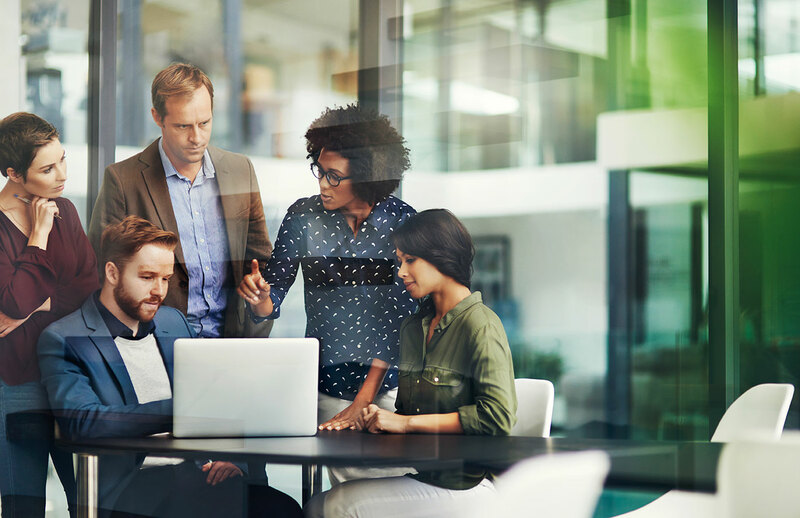 To keep our partnership with you active and ongoing, we provide access to an online portal, including comprehensive operations and marketing tools and a direct line of communication to the Wyndham support teams. We also host a global conference every 18 months, connecting you with other owners and the Wyndham executive leadership team. We monitor hotel booking data, act on trends and patterns, ensure participation in all channels and promotions, and provide pricing and inventory recommendations – setting you up for revenue success in your market. *FY 2017. All properties same store. Based on franchised hotels on Revenue Management service for 6+ months, as compared to a statistical model group not on service. Our Architecture, Design and Construction (AD&C) team guide you through each step of the new build or conversion process by providing design, project, and technical guidance for projects of all sizes. As an extension of your project team, our goal is to ensure the design and construction of your hotel is as seamless as possible, guided by the appropriate brand standards, and results in a Wyndham hotel that will open on time and within budget. Once you join the Wyndham family as an owner, you gain access to practical, effective, and best-in-class training solutions. Our School of Hospitality Operations (SoHO) is a leading hospitality educator focused on helping you create exceptional experiences for your guests and employees. Our professionally-led training opportunities include the Hospitality Management Program, live webinars and videos, and over 100 professionally-designed, self-paced online courses. As your training partner, we provide easy access to powerful training content for you and your hotel associates. We ensure you have all the knowledge you need to successfully operate your hotel and start delivering on your brand promise right away. 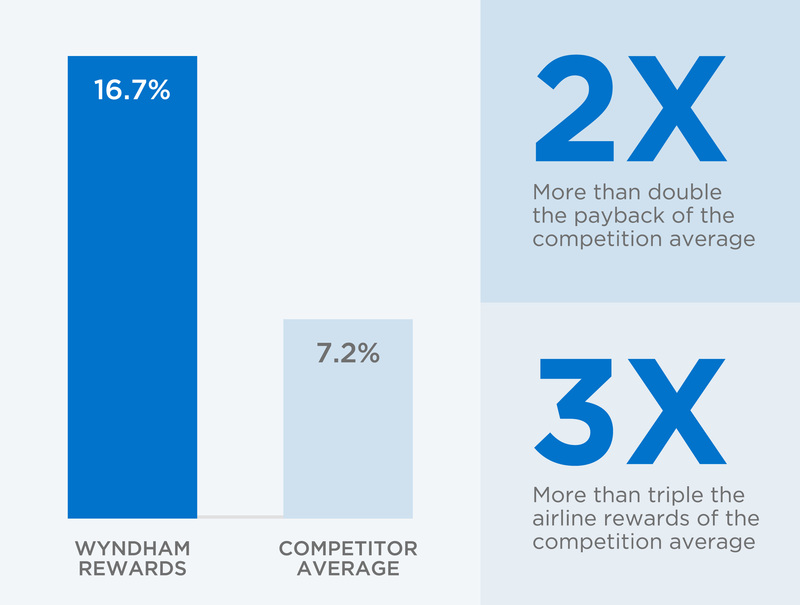 Named one of the best hotel loyalty programs by US News and World Report, Wyndham Rewards is a first-of-its-kind hotel loyalty program that’s simple, generous, and attainable for members. Our program, along with comprehensive and targeted cross-selling efforts, unites your hotel with over 9,000 hotels across the world and with our 70 million members. With thousands of redemption options across hotels, condos, and homes around the world, Wyndham Rewards ensures that your guests keep coming back, time and time again. Because it’s unique, simple, and generous, it continues to attract and retain new members. For owners, this translates to more direct bookings for your hotel. As an owner, you have access to Titanium—the highest level of Wyndham Rewards membership. This invitation-only member level is reserved exclusively for Wyndham hotel owners and represents another advantage of joining the Wyndham family. With our integrated technology program, we streamline the management and operations of your hotel and drive RevPAR performance by seamlessly connecting you to a wide network of distribution channels. Through collaboration with leading technology companies like Infor, Sabre, and others, we deploy integrated PMS, RMS, and CRS systems quickly and at scale. We do this by combining best-in-class offerings that are effective, efficient, current, and delivered at a lower cost to our owners. To improve the online booking experience for guests and improve conversion rates for owners, we tap into partnerships with leading tech companies and engage in ongoing user experience testing. Our fully responsive sites are optimized for SEO and strong conversion rates, aiming to gain better placement in search results and more direct bookings for owners. Using a comprehensive approach, our integrated brand marketing, media, eCommerce, PR, and sales teams build brands, monitor perceptions, and develop pilot programs that enhance the guest experience to deliver results for owners. We spend your marketing dollars efficiently to drive key metrics, monitor results, and adjust plans based on up-to-date market needs. With the scale and size of our customer base, we are able to cast a wide net. However, by tailoring messaging, offers, and media in specific markets, we are also adept at capturing revenue opportunities for our owners. In addition to the support of the branding and marketing experts working across the company, each of our brands has a dedicated marketing team focused on driving demand and generating consumer awareness. We focus on implementing turn-key initiatives that will deliver the brand promise of our hotels, increase guest satisfaction, and drive ROI for owners. We take a strategic approach to brand development, aligning efforts with quality, standards, design, sourcing, operations, and owner sales teams. We are purposeful, focusing on quality, the needs and desires of today’s travelers, and the details that drive value to hotel owners. We also have eight contact centers, distributed across seven countries and supporting approximately 15 languages. The centers are staffed by professionally-trained sales teams, and are available 24 hours a day, seven days per week, and 365 days a year. The staff at our contact centers field approximately nine million calls annually, providing a best-in-class experience and ensuring that guests are always greeted with the Wyndham Welcome. As an owner, you become part of the Wyndham family. We rely on you to help us keep our promise to guests by creating welcoming experiences for each and every one of them. In return, we promise to be there for you day-to-day and over the long-term, with the support and dependability you need to be successful. It’s a promise you can count on, from a team that cares about people.